C6 Corvette Pro-Touring Brake System. Designed for Z06 wheel fitment for Corvettes on Road Course, AutoCross, Time Attack, and Speed Stop competition. Optimized for stopping power with the stock master cylinder. 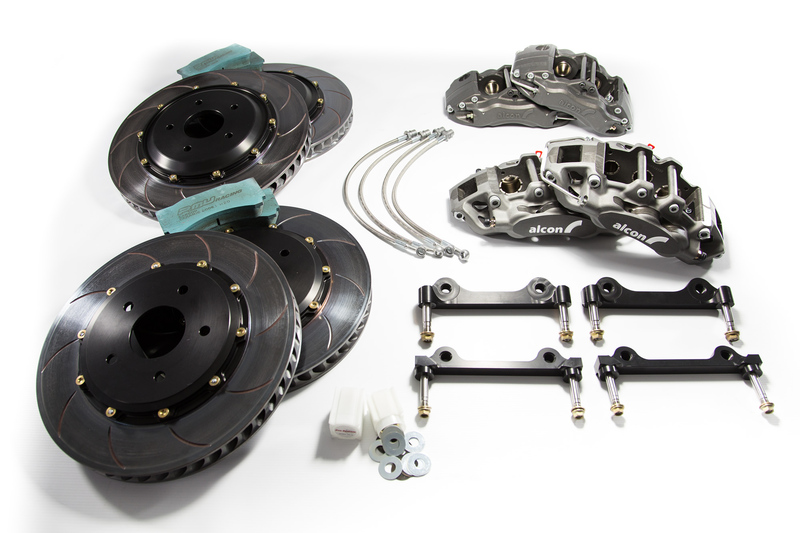 Six Piston front calipers with 14" x 1.25" rotors and Four Piston rear calipers with 13.6" x 1.25" rear rotors. Full floating system. C6 Corvette Pro-Touring Brake System.